The first trailer for Marvel’s Captain America: Civil War, offering a tantalizing glimpse of a critical fracture throughout the Avengers. 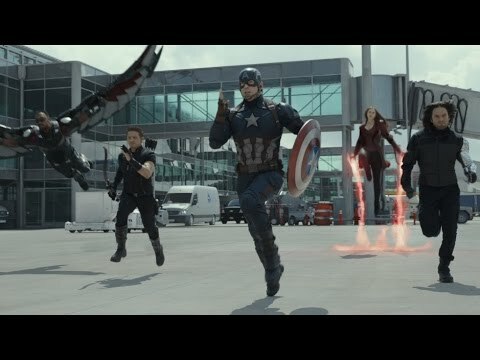 Following on from The Winter Soldier, Civil War follows Captain America and Iron Man, on opposing factions when world governments attempt to regulate the conduct of superheroes Captain America heads the opposition to avoid wasting Bucky (played by Sebastian Stan), whereas Iron Man helps the regulatory movement. Superheroes from previous installments of the Marvel franchise will probably be making an appearance similar to Paul Rudd’s Ant-Man. Whereas thrilling new characters similar to Chadwick Boseman’s Black Panther who can actually see in the trailer,) and Tom Holland’s Spider-Man are positive to get fans much more excited in regards to the movie. Check out the trailer above and let us know what you think!